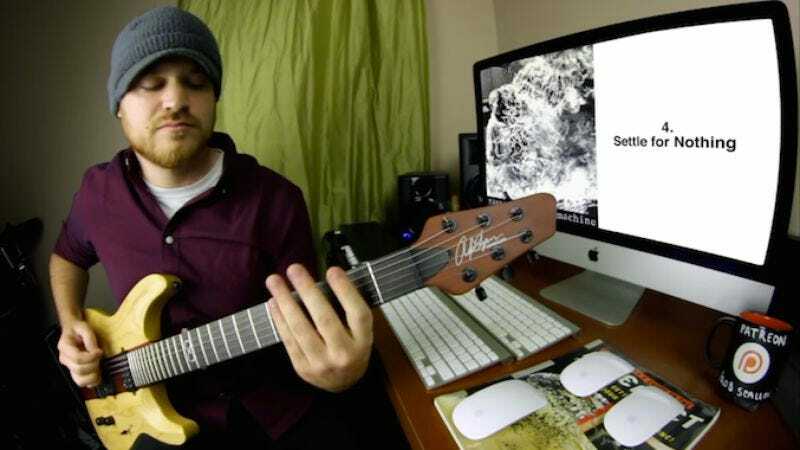 Guitarist Rob Scallon has ripped Slayer on a ukelele, righted the wrong done by the infamously bass-light mix on Metallica’s …And Justice For All by playing the entire record on bass instruments, and played Rage Against The Machine on a shovel. Now, furthering his Tom Morello studies, he has compressed the entire Rage discography into a fusillade of guitar licks perfect for smashing the capitalist state, washing your car, or getting huge at the gym. It’s much easier to enjoy the riffage without vocalist Zack De La Rocha shouting all that leftism in your ear—nothing but crunch here, baby. For the curious, Scallon’s YouTube channel hides plenty more experiments, including, god help us, every System Of A Down song packed into four nü-metally minutes.